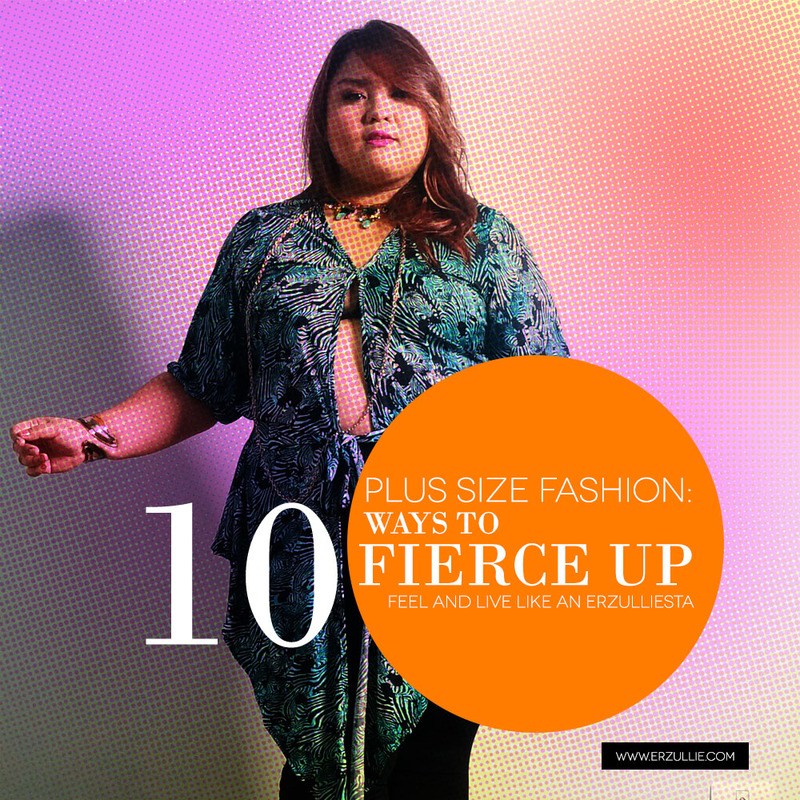 We know that Erzulliestas already wrote the book on how to be an empowered plus size woman. So for those who are wondering what is their secret for being one daily. Here are little tips and tricks to fierce up your day! #1 Wake up with a feeling of gratitude. Thankfulness and being happy with what you have is the best aura changer of all time. Just the thought of being grateful for who you are, what you are doing and what you will be is more than enough to shift anyone's perception about you. After all, aside from the heart, fierce starts in the mind! #2 Throw a little compliment to the self every now and then. We don't care if you do it openly or in the privacy of your own space. Point of the matter is, whenever an Erzulliesta sees her self, a nice compliment about herself would definitely brighten up her day. After all, she loves giving it out to her fellow plus size women --- not give the same gift to herself? #3 A nice cold/hot shower. Got 10 minutes? Feeling a little stuck? A quick shower will definitely change the tune of your mood. Depending on how you like it (hot or cold), the feeling of changing temperatures will definitely change the way you feel about yourself and definitely of your day. #4 Put on that special dress --- "just cause". An Erzulliesta waking up for the day is already a cause of celebration. And if that is the case, then put that special dress on "Just cause". It will definitely fierce up your day. Think about it as you being Wonder Woman changing into her battle suit. #5 A make-up touch up. Feeling haggard? Even if I know that Erzulliestas got their make-up skill down to pat, I am sure a hard day can change that a little. So why not excuse yourself and do a little touch up on your make-up, Erzulliesta? You may be surprised at this, but have you ever noticed that more people notice your achievements MORE than you do? Well time to practice that, my dear! Recognize your achievements, BIG or SMALL. It will definitely improve your confidence and boost your fierce levels. There are many ways to achieve this. Pick one that resonates with you the most. But the reason that this fierces up any Erzulliesta is that sleep gives energy. More energy, more things are able to be done by the end of the day. And nothing fierces up an Erzulliesta more than accomplishments. #8 A nice frothy body scrub and conditioner combination. Now this one is a personal favorite. Whenever I feel like I want to let my fierce energies shine through, I get to this small body ritual. I take my favorite body scrub, the scent that makes me feel sublime. I scrub my body with the full intention of "shedding the bad energies" away so that the spirit underneath me will shine through. I then nourish it with a body conditioner to make me feel soft and sensual right after. #9 A full on hair mask. Your hair is your first crown. So go and do your thing. Polish it up with a well deserved hair mask that makes you feel like a Goddess right after. #10 A love letter for your future self. Now this one. You just have to write it all down when you are all high and happy about yourself. Then put it in a book that you always open up to when you need guidance or a fresh perspective. This letter in the past will definitely fierce you up.